When Army leaders and members of industry met in North Carolina earlier this month, the focus was on how to improve cloud computing in the tactical environment. Today, the Army is creating a common operating environment that allows soldiers from the command post to the vehicle to dismounted patrol to access the same information, a move leaders say will improve mission command. 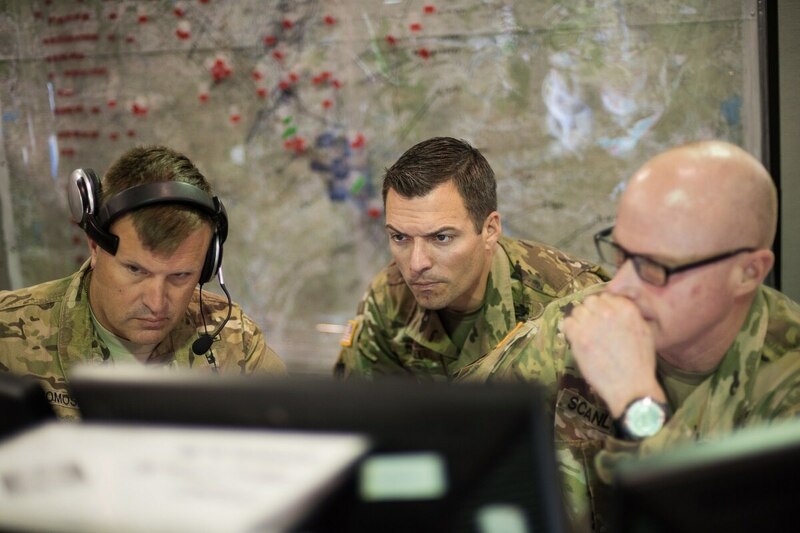 “What we’re trying to solve is distributed mission command from home station into the tactical edge … to improve rapid decision making in a very lethal, high tempo fight,” said Maj. Gen. David Bassett, the program executive officer for command, control and communications-tactical. C4ISRNET spoke recently about the Army’s move toward the tactical cloud with Louis Pacheco, director of engineering at NexTech Solutions, a technology partner for Rubrik. C4ISRNET: What obstacles do Department of Defense officials face with battlefield computing? Louis Pacheco: The primary problem has always been getting services that are provided from the headquarters to the edge. Getting domain authentication services, getting Sharepoint services, getting all these different types of services that are normally located at point-of-presence, and then delivering those services efficiently at the edge. Size, weight and power is always very important. If you can make it smaller, faster and more efficient, that’s a big deal. And security, not only on the hardware security, but also on the software side. C4ISRNET: When you talk about getting services on the edge, what can DOD do to help get those services to the soldiers and troops who need them? What are some of the technical solutions? Pacheco: It could be, for example, an active directory server where you can have one deployed locally, but overall, it functions like a repeater. It just receives the updates from higher headquarters. Sometimes, because of the slow connectivity, that’s a big challenge. Another one is Sharepoint. Sharepoint could be deployed in a local instance. You’re reaching out to the services locally, but basically, it would be very hard. Because of the amount of bandwidth that’s reserved locally, reserved from the tactical edge toward the data center, it is very hard for a customer to constantly be reaching back to get those services. Bringing that solution to the edge and with the approach that we’ve been taking has been successful because we’re able to keep the services locally but also have them host it. It gives you the best of both worlds. C4ISRNET: What do you see in the next six to 12 months that makes you believe that DOD gets it and is trying to solve the right problems? Pacheco: They’re looking to start exploring the capabilities cloud and automation. That’s a big topic nowadays and I think that they’re heading into the right direction with what their strategies are for those fields. Another field that we brought up, and it’s still in the infancy stages, but I think that collectively it's going to be beneficial for DOD, is the world of artificial intelligence and machine learning. Let’s say someone builds or decides to build a server locally on site, but you have this kit that have these different types of servers and someone forgets to add the server to their Rubik policy. We have an automation logic in there that says when you’re building a new server, it’ll automatically add it to the policy and automatically add it to be able to be replicated without having to worry about the overall implementation. Automating services as in creating domain accounts, creating email accounts, being able to just one click and gracefully shut down all the servers and all your devices, those are things that we provide nowadays.